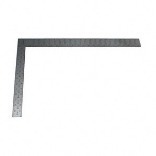 EMPIRE BRAND 8" X 12" STEEL SQUARE 8" x 12" steel square with inch graduations Deep stamped, long-lasting markings 1/16" thick blade Durable protective epoxy finish to - help prevent rust 100 8X12 IN. 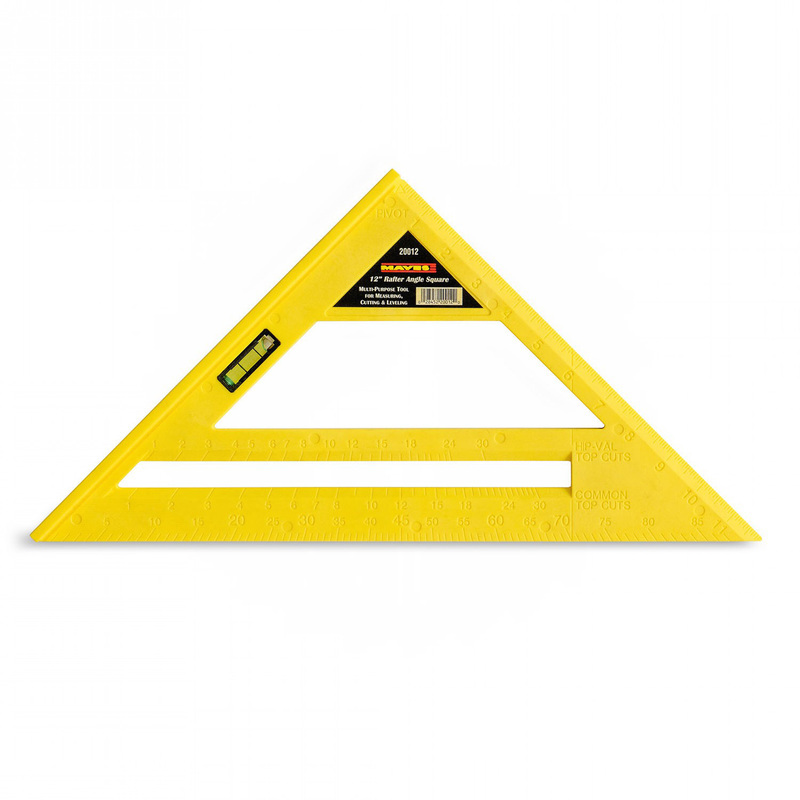 STEEL SQUARE SIZE:8" x 12"
RAFTER SQUARE 16" x 24" yellow rafter square Made of high grade tempered steel Rafter, brace and Essex tables Octagon and hundredth scales Face graduation in 8th and 16ths Back graduation in 10ths, 12ths and 16ths White thermo-bonded graduations 10219 24 IN. 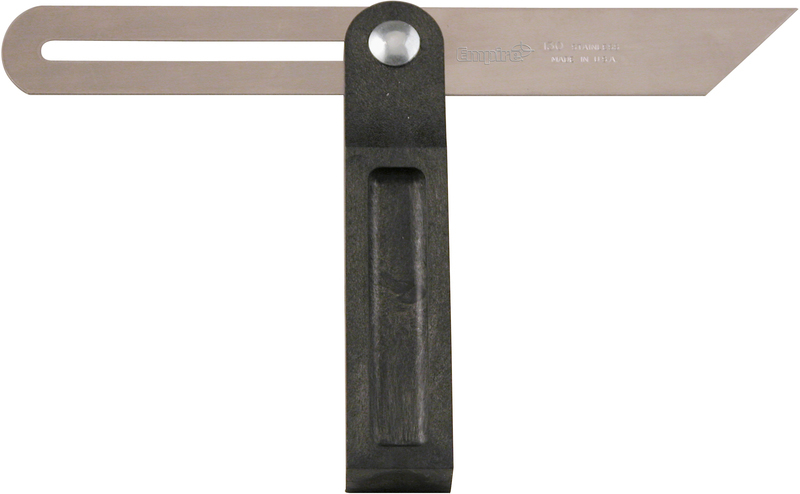 BLACK RAFTER SQUARE SIZE:16" x 24"
SLIDING T-BEVEL Sliding 8" chrome plated blade Durable plastic handle 10229 8 IN. 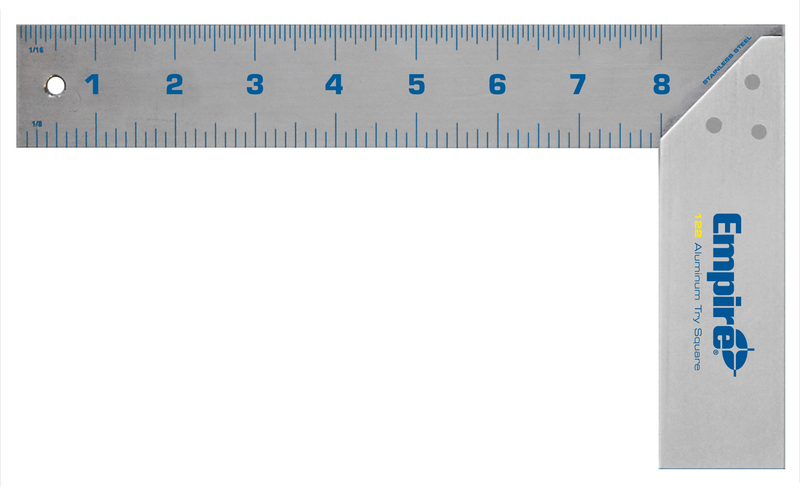 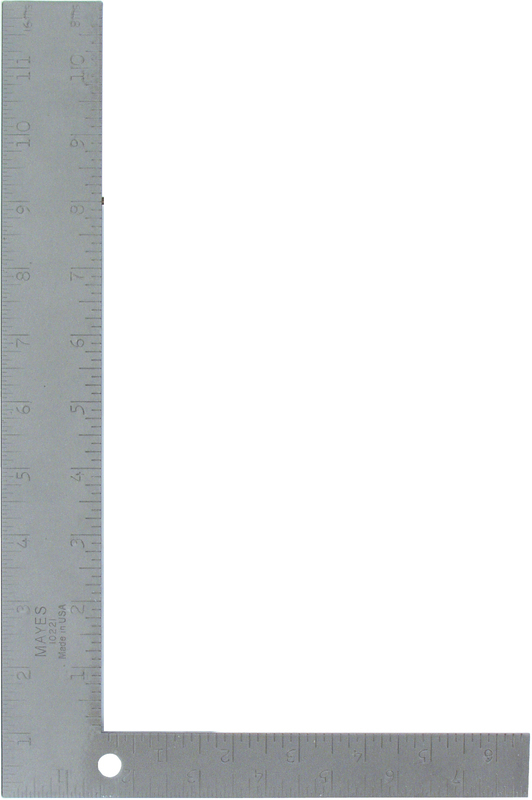 SLIDING T BEVEL SIZE:8"
TRY MITRE SQUARE Embossed steel blade High impact plastic handle Use handle to measure 45 degree angles 1 vial set in handle 10230 8 IN. 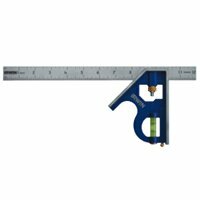 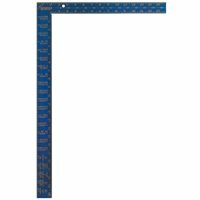 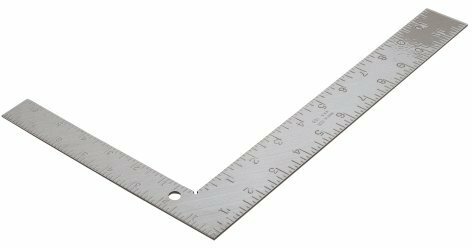 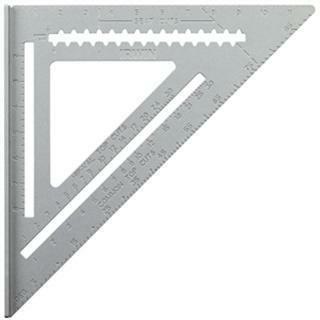 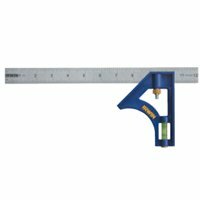 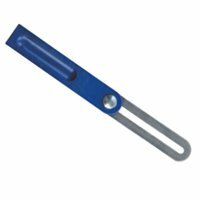 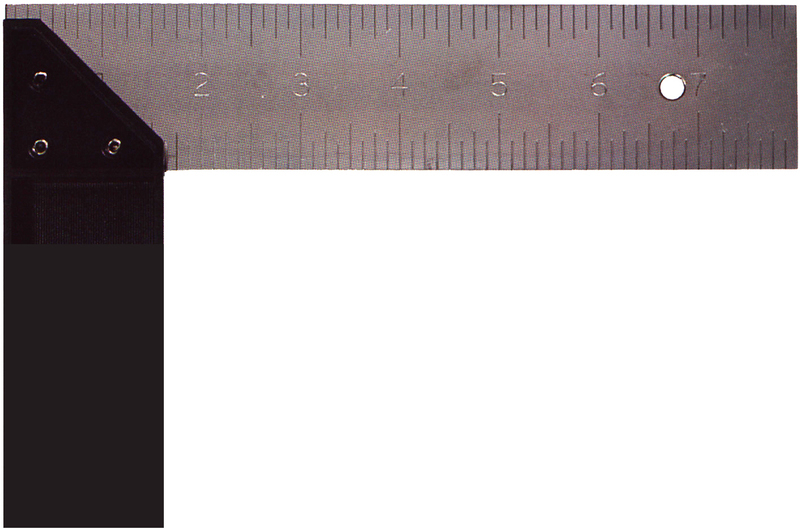 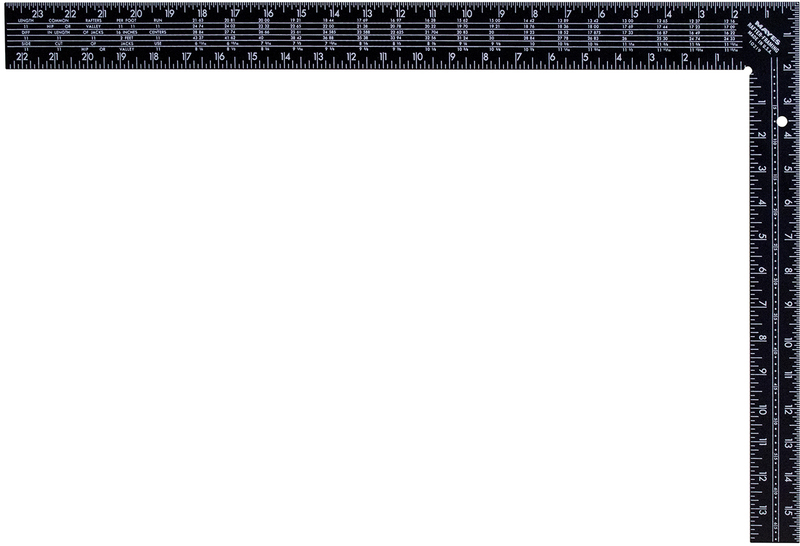 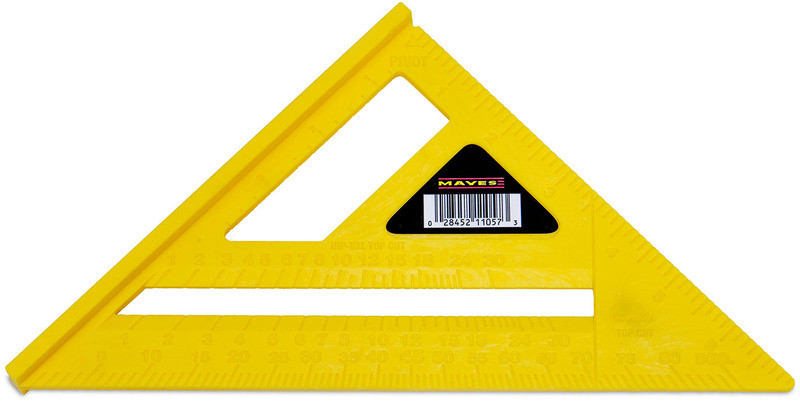 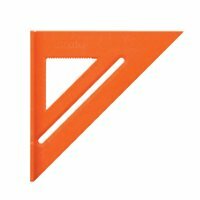 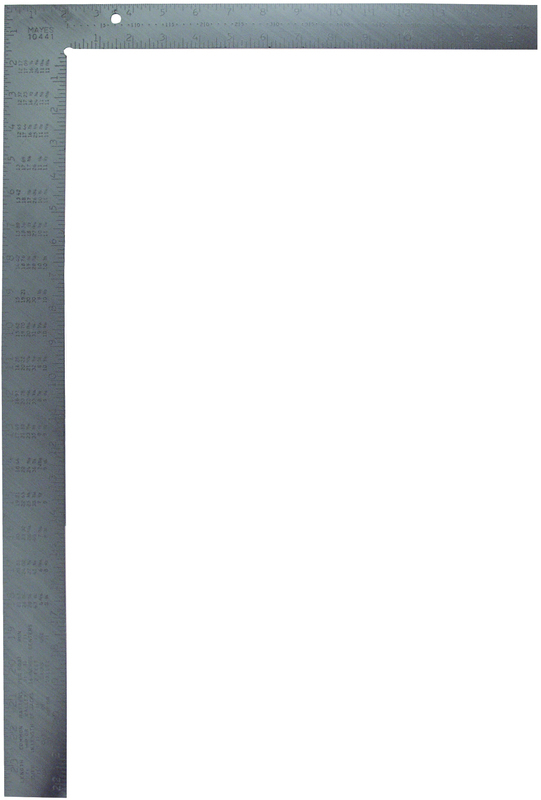 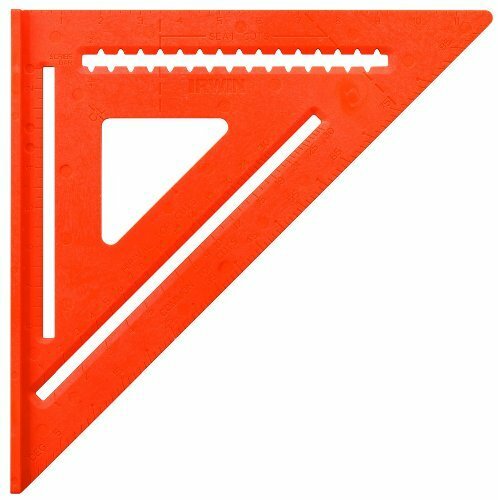 TRY SQUARE SIZE:8"
PLASTIC RAFTER SQUARE Use for measuring of rafter and angle layout Bulk packed 11057 7 IN. 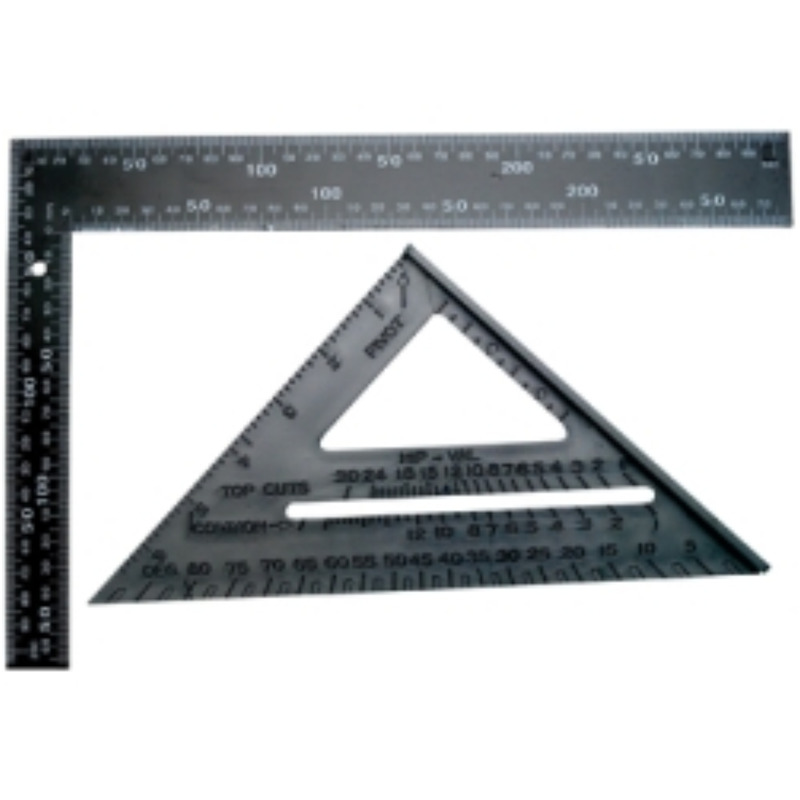 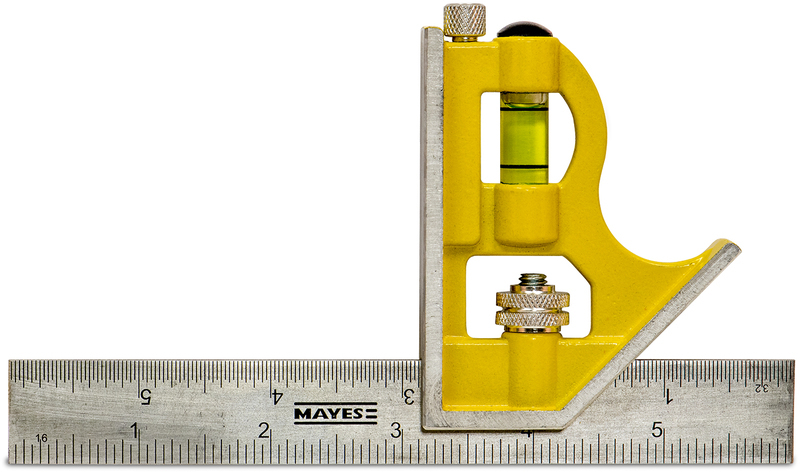 RAFTER SQUARE SIZE:7"
ALUMINUM RAFTER ANGLE SQUARE Anodized aluminum alloy Instruction booklet included 11059 7 IN. 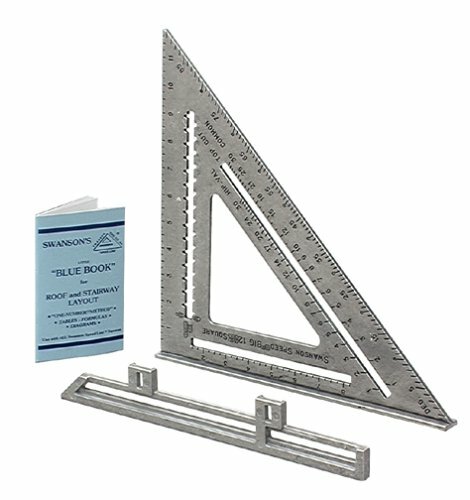 RAFTER SQUARE SIZE:7"
EMPIRE TRUE BLUE STAINLESS TRY SQUARE Stainless steel etched try square blade Prevents rust and corrosion 8" blade attached to heavy-duty aluminum - billet handle Blade has inch graduations 122 HD TRUE BLUE TRY SQUARE SIZE:8"
ALUMINUM RAFTER SQUARE Tables are imprinted with white or black Easy board measure and reverse reading rule A100R ALUM SQUARE SIZE:16x24"
STEEL CARPENTER SQUARE Steel carpenter square has permanent deep - stampings for durability 1794461 STEEL CARPENTER SQUARE SIZE:16" x 24"
12" COMBINATION SQUARE Black precision etched scales Rust proof stainless steel blade ABS body 1794470 12 IN. 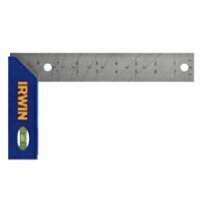 COMBO SQUARE SIZE:12"
METAL COMBINATION SQUARE Durable cast zinc body with rust-proof - stainless steel blade Has black precision etched scales on blade 1794471 16 IN. 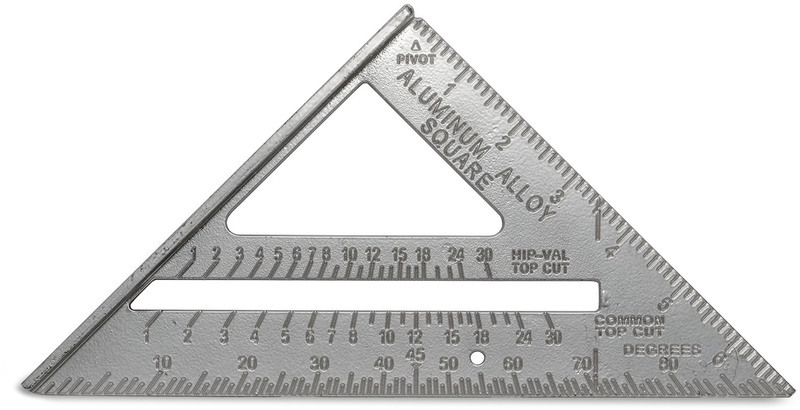 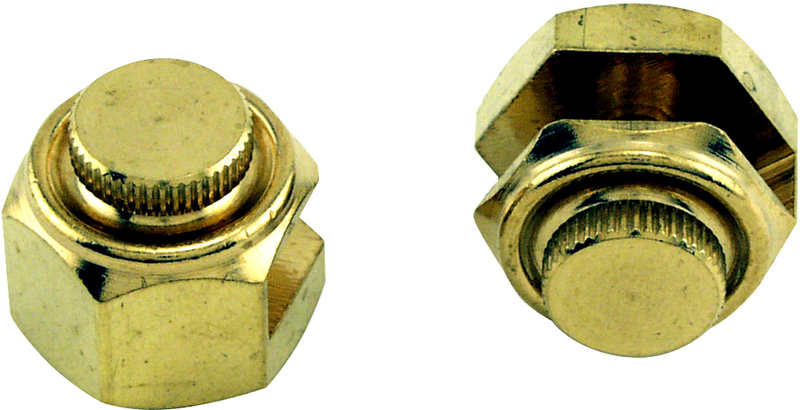 METAL COMBO SQUARE SIZE:16"